Just a fun little project for a last minute Halloween decoration. The birds are going crazy in the backyard at the feeders, so I decided to make a cute little Owl Cameo Frame. 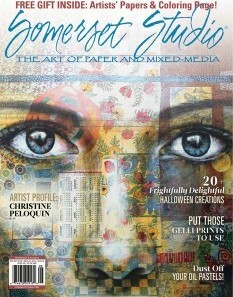 I used lots of Retro Cafe Art Gallery products that really came together well. The Spiders have Soft Matt Gel added with the Precision Tip applicator, a great tool I might add, and then sprinkled with Copper and Black glitter. 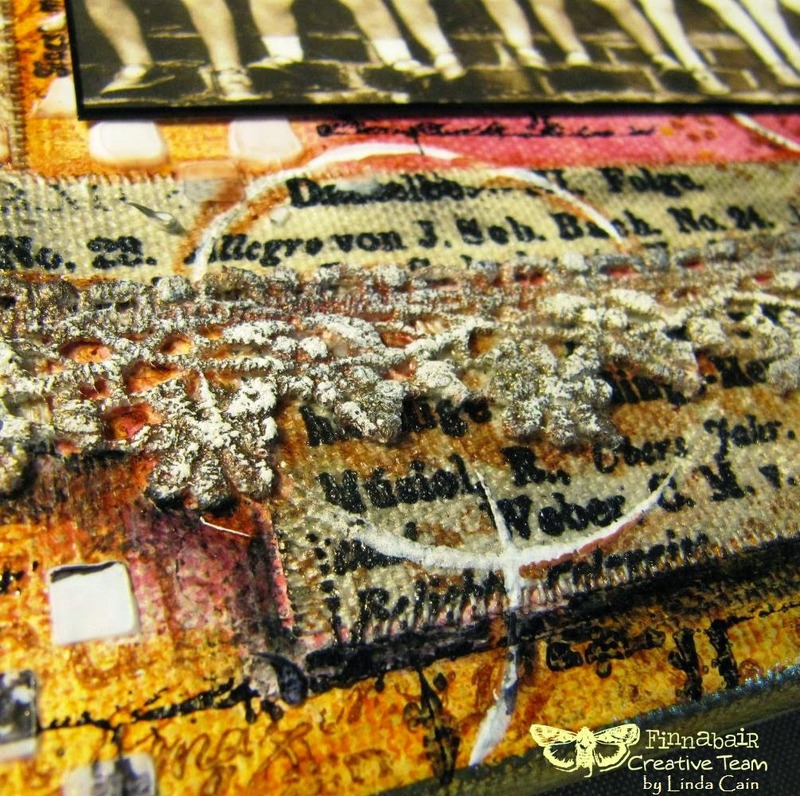 This is a detail picture of the Platinum Texture Crackle on Masonite. It is sooooo cool! The Crackle here is really stunning on the detailed frame. I outlined the bats with White Sharpie pen, and added some highlights to the picture. The paper also has several Distress Inks on them and some shading with pens. I used the Inka Gold Green Yellow to add more color to the frame, and Copper on the Brass Charms. It makes a really big difference and adds great contrast. A few stamped images help to balance out the composition inside the frame. I sealed the frame with Soft Gloss Gel. Have Fun, check out the links below, and a safe Halloween. 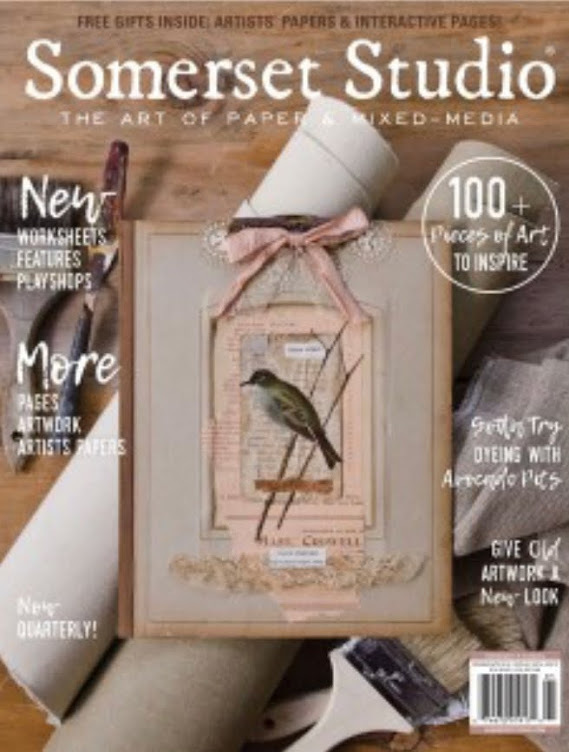 It's time for a Finnabair Creative Team blog hop....with a theme Ultimate Coziness,....find a picture on Pinterest, or from your own collection and use it as inspiration for your project. This is what I came up with....my Warm and Cozy. 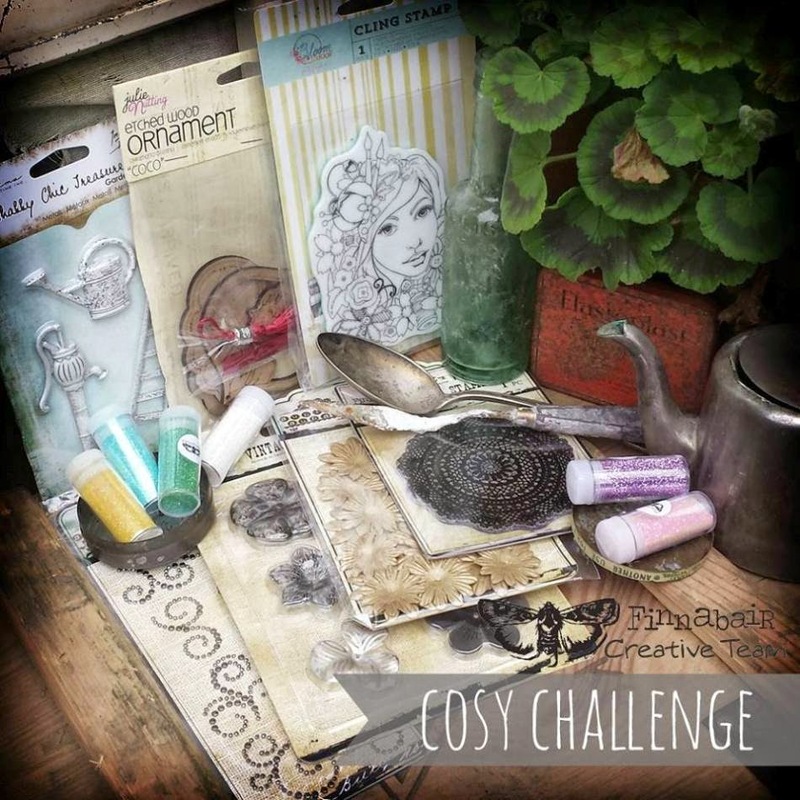 That's why, Finnabair Creative Team came up with a special challenge to warm you up and possibly inspire you to create some fantastic art. Feel welcome to join in! 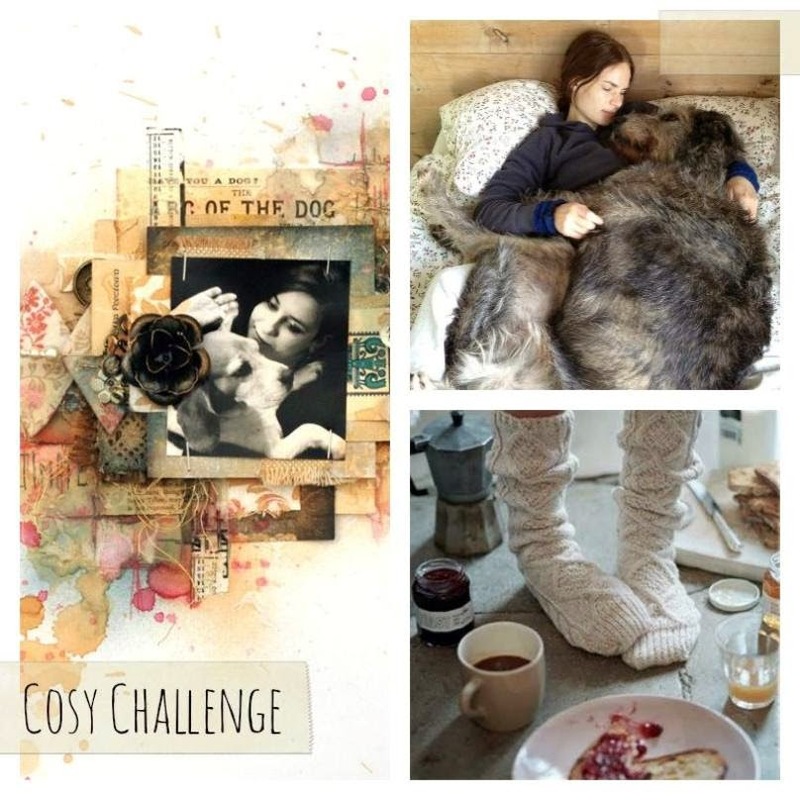 Cosy or Cozy....depends where you live. 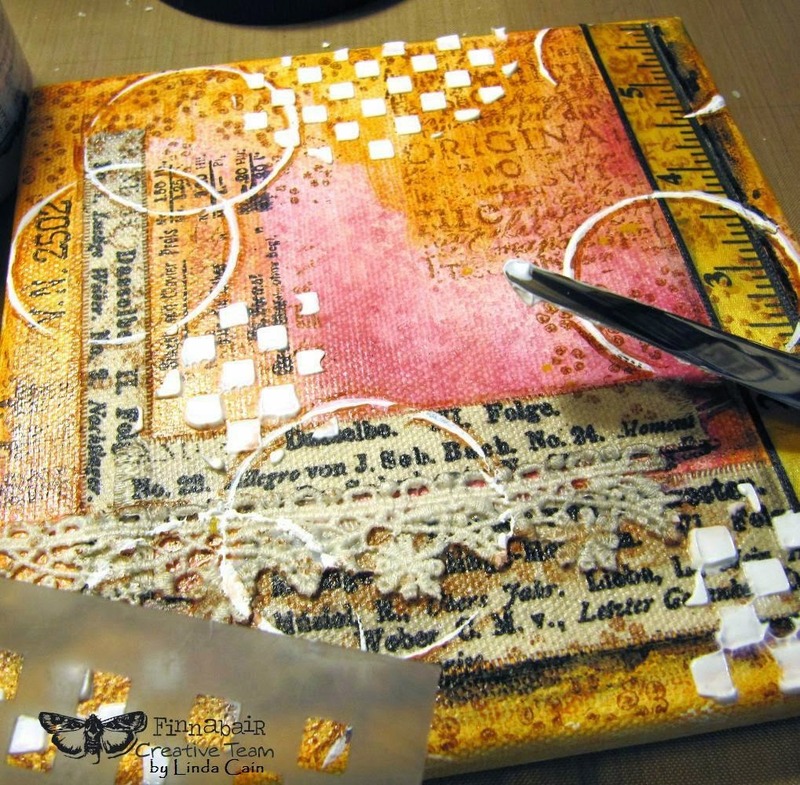 I started with a large #10 manila tag, the Stars Stencil, and Modeling Paste. When the paste is dry, paint Black Gesso over the entire tag. Dry with heat tool, and sand down exposing most of the white stars. 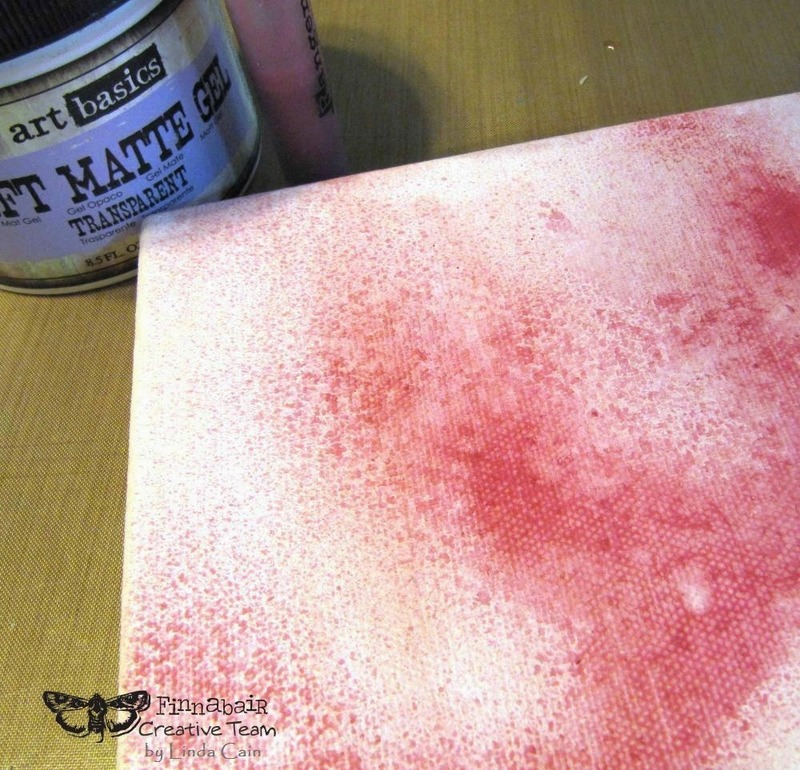 Next spray liberally with 3 colors of blue and plain pearl Perfect Pearl Mists. Gotta love the affects here! I made a bunch of Art Doll Faces with paper clay and sealed them with Soft Matte Gel. Then I painted them with Fresco Acrylic Chalk paints. I used several Masonite laser-cut stars from Retro Cafe Art, Soft Gel, and Luminous Glitter to add some more sparkle. If you know me at all, you know I LOVE houses! They speak to me. 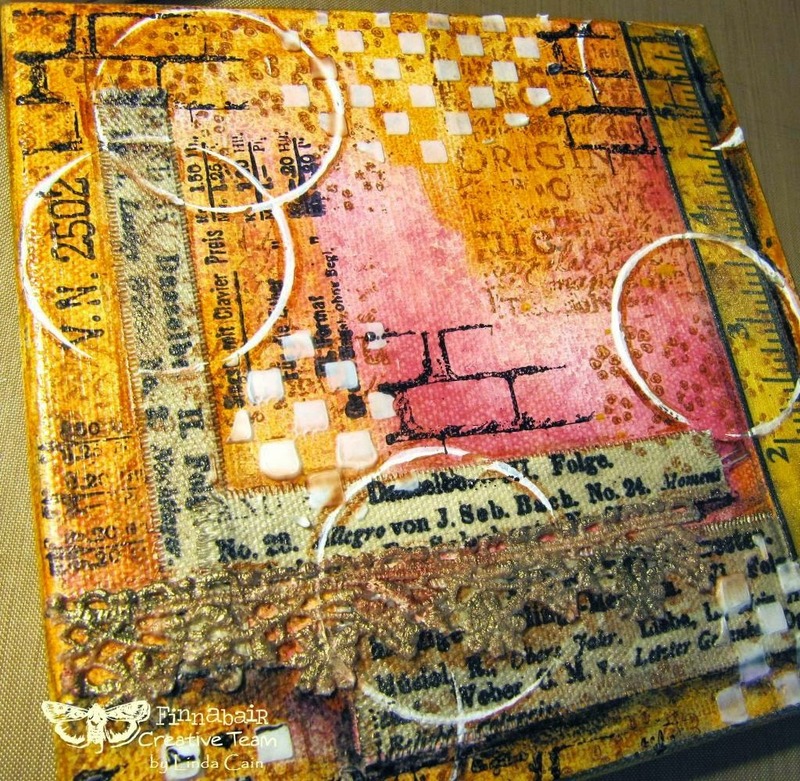 I die-cut 3 chipboard houses and covered them with papers from the Sunrise Sunset 6x6 pad, and Natures Garden from Prima. The Raindrops Stencil and Dusty Concord Distress Ink is on one roof. The Stamps and Adverts, Adverts, Lace and Doily, and Lady Bird stamp sets were used to decorate all of them as well. The lacy edge trim stamp was REALLY pretty here. I added some Heavy White Gesso to the high points of the Prima Engraver Trinket. Then I used a Zig Wink of Stella brush on it for even more sparkle. I cut a piece of the edge from a Resist Canvas "Ads" and stamped HOME using Archival Black Ink. 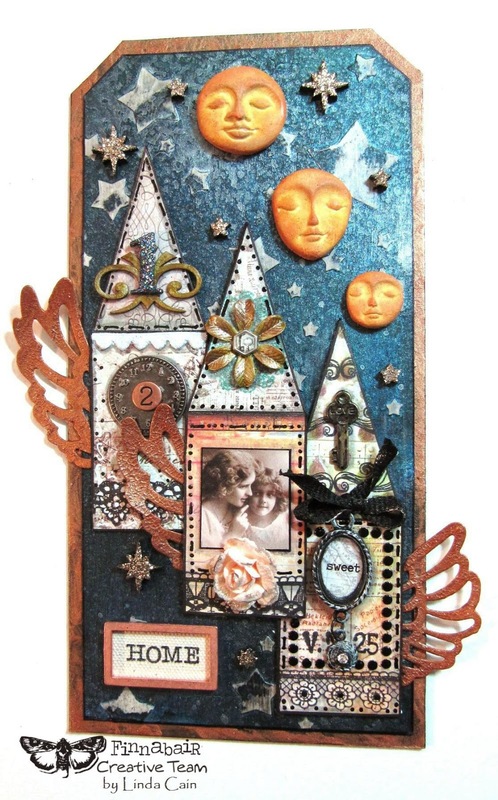 I die-cut wings from manila cardstock using the Thinlits Heavenly set from Prima and coated them with Copper Crackle Texture Paste. It is just too cool for words when it dries! 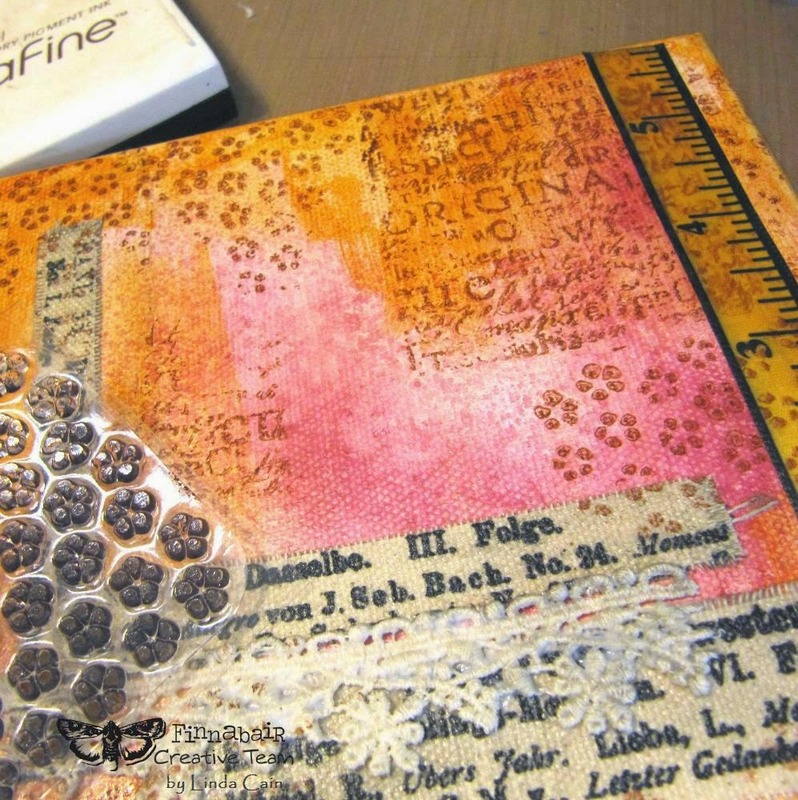 You can add some Distress Ink to the crackle to give it more contrast, or add some sparkle with the Zig pen. The copper frame was the perfect size for HOME. 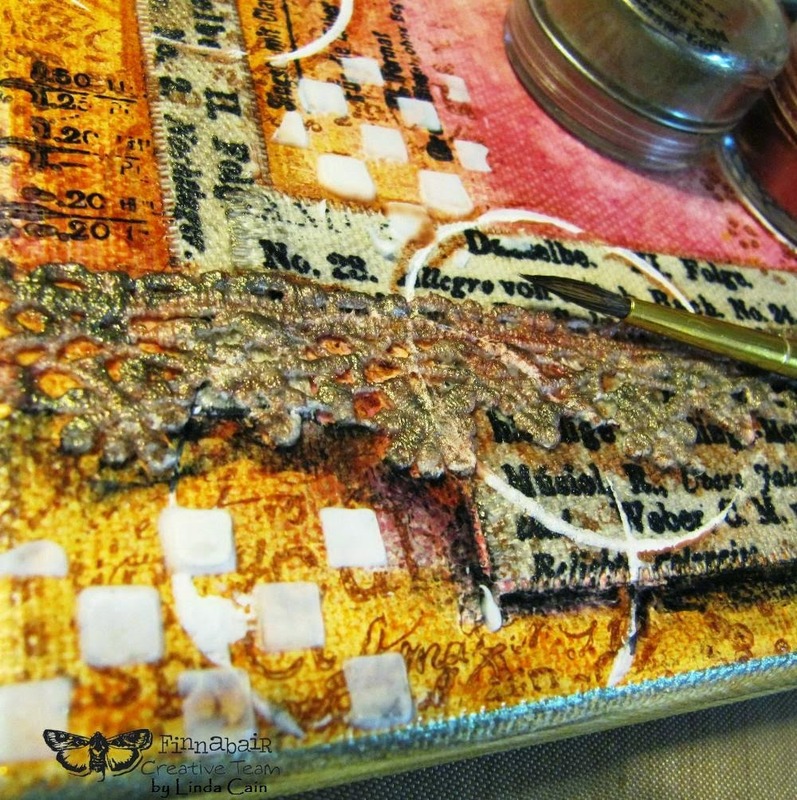 Copper Crackle is amazing on black chipboard, too, that I layered the tag onto. The Numeral 1 Mechanical with Soft Gel and fabulous Blue/Black Ebony and Ivory glitter is glued to a piece of painted chipboard. I applied White Gesso then Tarnished Brass and Brushed Pewter Distress Paint on the Mini Flower and added it with an Engraver Brad. 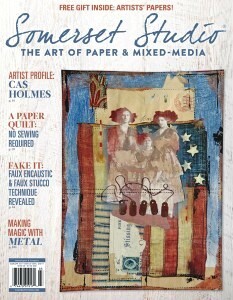 This shows the results of the Stella Brush on the papers, too. Glitter and Mica are so hard to show in a photo, but this night shot worked really well. 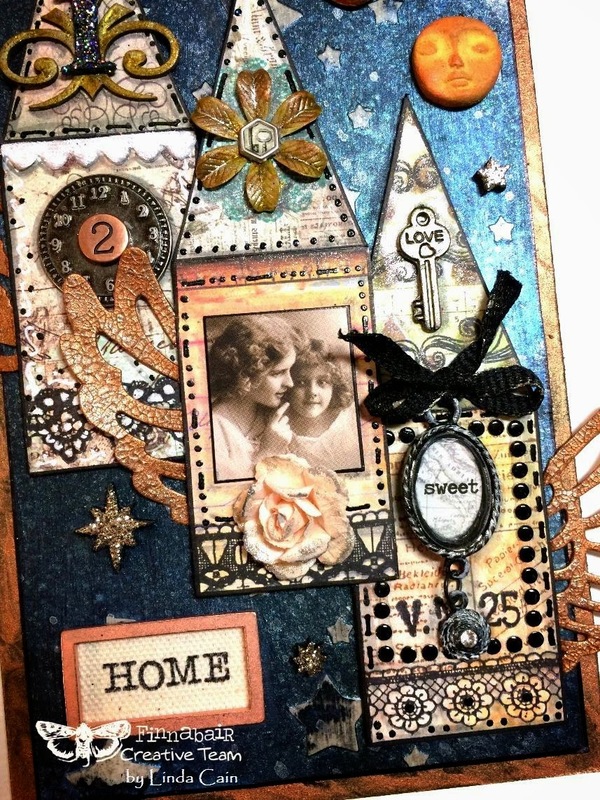 A few more pieces of ephemera, some pen marks, more stamping, and a vintage picture completes the little houses. So I guess you can gather that HOME is my comfort zone. 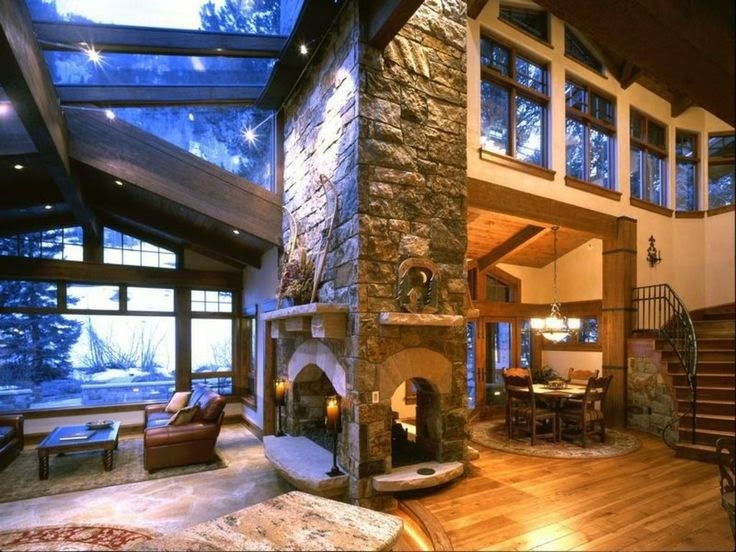 Deep dark star-lit skies through the windows, and the warm color of wood and a fireplace look like an ultimately cozy place to sit with a glass of wine and a good book. 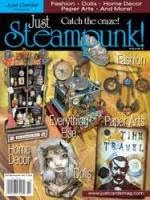 Click on the links for the products at Finnabair's Mixed Media Place. 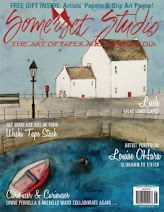 Now, jump to the next blog on the Blog Hop and don't forget to enter for a prize to win!!! This starts with a 6x6 canvas. I added a bit of red ink spray to my canvas, just so you could see it better, and them coated it with Transparent Soft Matte Gel. 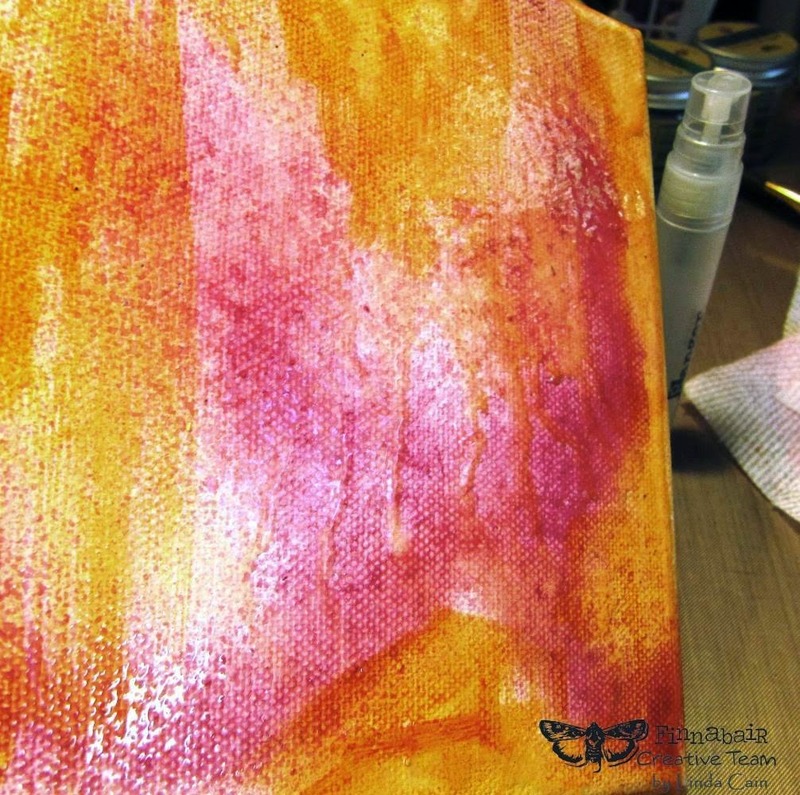 I added a mixture of water and Claret acrylic paint in a mister, then sprayed it sparingly on the canvas. Next I brushed on Nickel Azo Gold acrylic paint with a touch of water to make it a glaze. 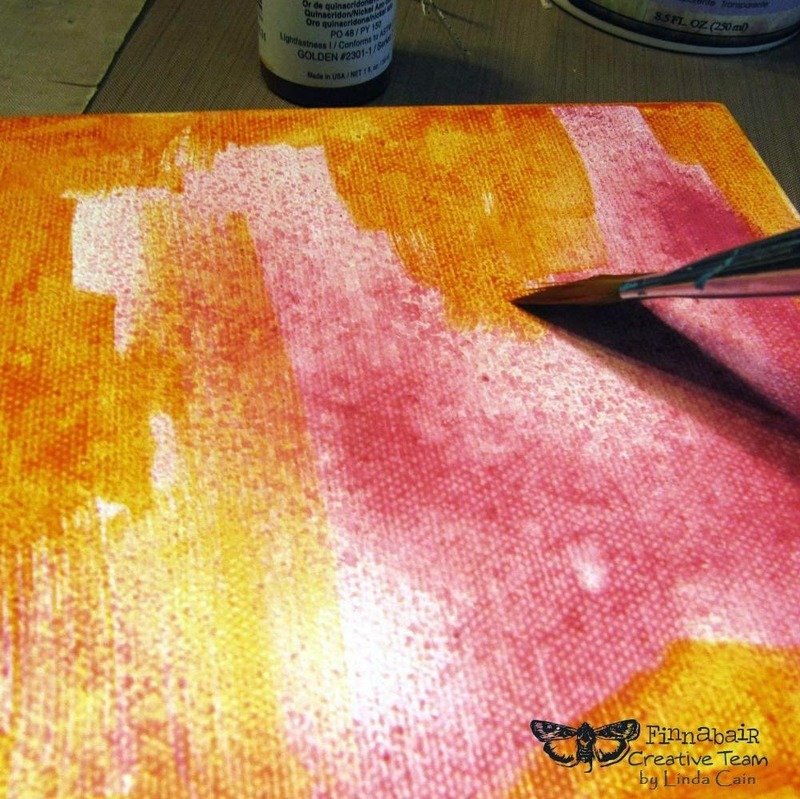 Quickly spray the canvas with water and let the paints drip and run. I cut 3 strips of Elements Resist Canvas and frayed the edges. Save the threads for later. Add the strips and a piece of trim with the Soft Gel. 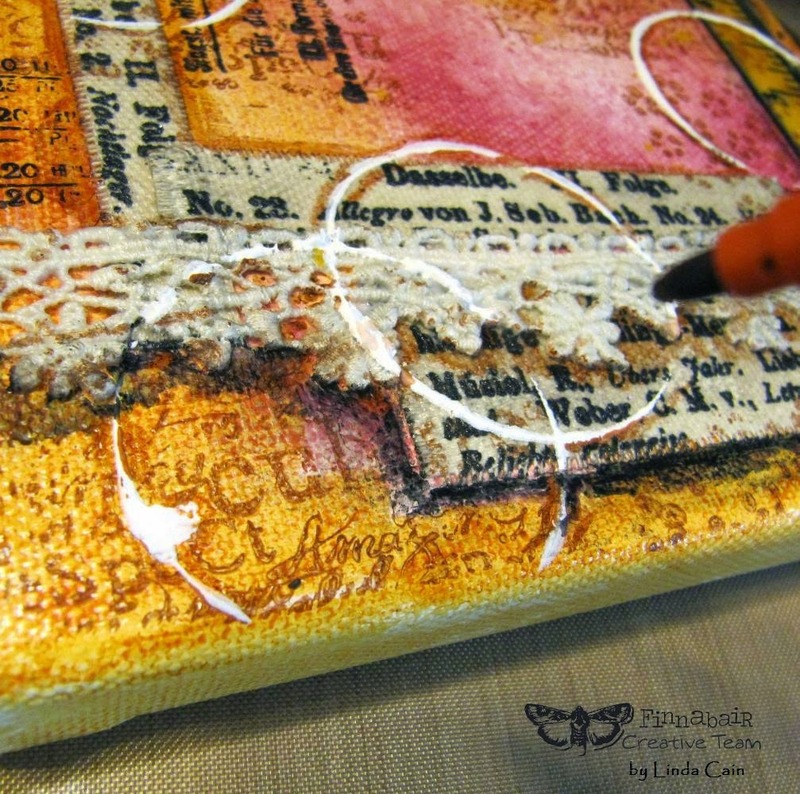 I used the Soft Gel to add a piece of ruler ribbon to the right edge of the canvas. 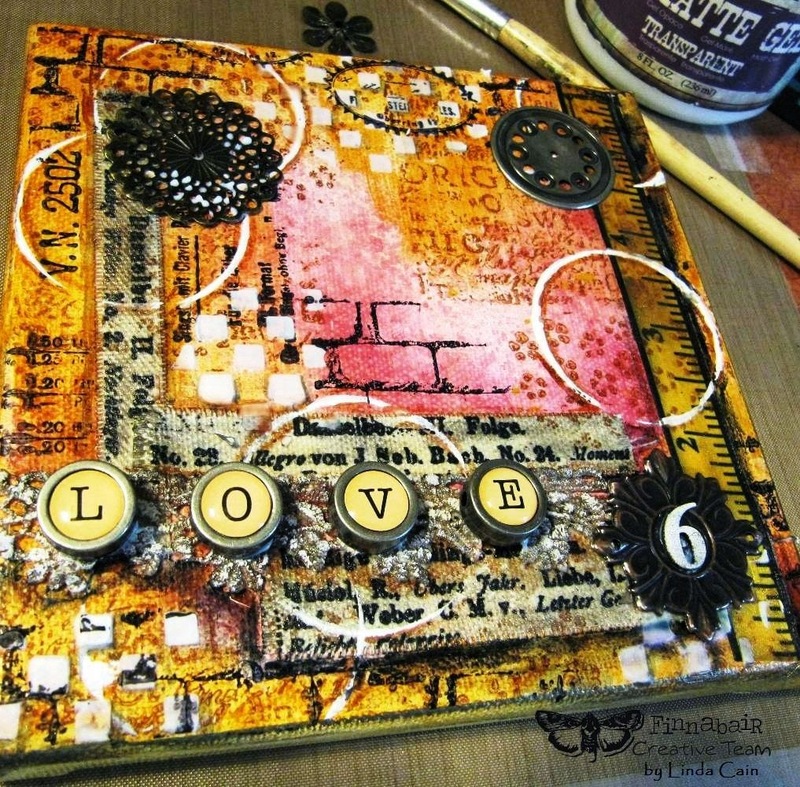 Using Sepia archival ink, stamp the flowers from Sunrise Sunset #4 set and Engraver set Words. 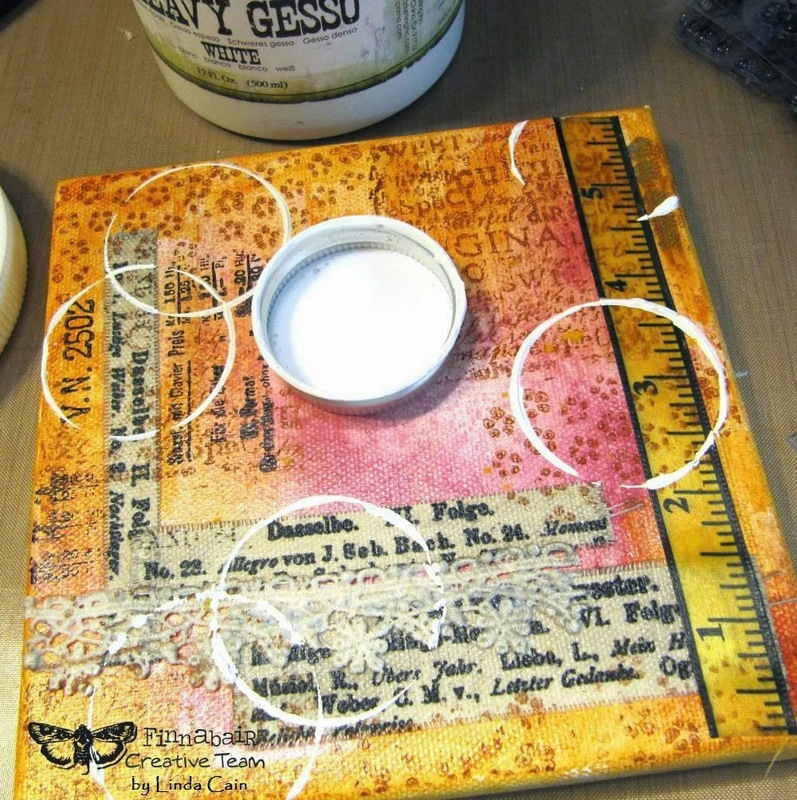 The Heavy White Gesso is perfect for adding circles with a small lid. 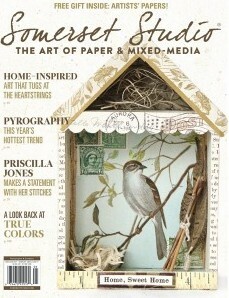 Add some more images with black archival ink and the stamp set Stamps and Adverts. I used watercolor and India Ink pens to add shadows. Now it's time for the Opaque Matte Modeling Paste....very cool stuff! I added 4 areas of the Checker Stencil to the canvas. Let it dry. At this point I decided to add some Perfect Pearls to the trim with a brush and water. 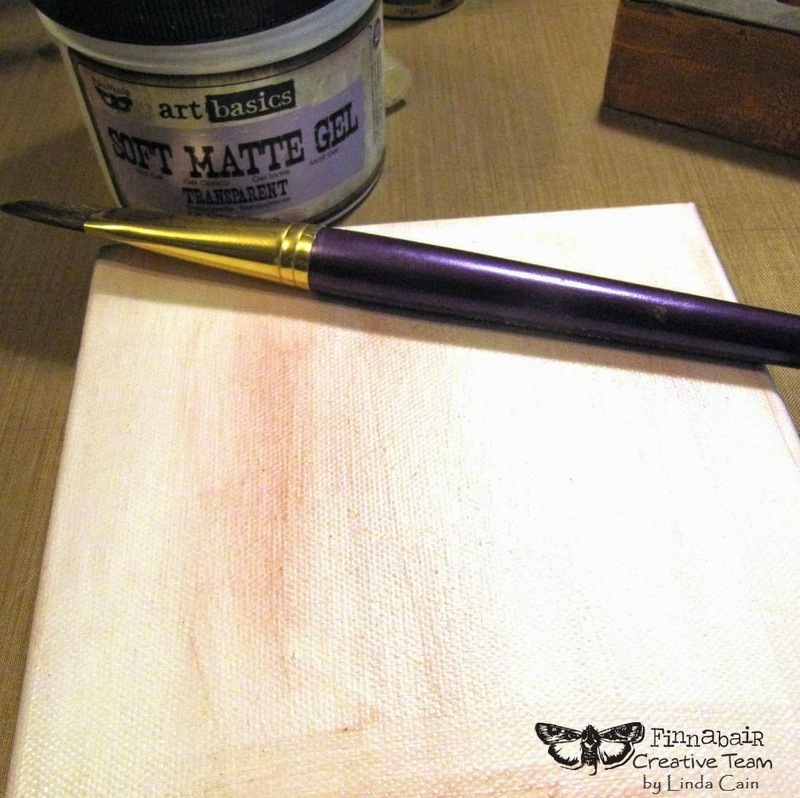 The canvas needed some contrast, so I stamped the Brick stamp with black archival ink in several areas. I started laying out the other elements, and could see the trim did not show up well enough for me. So, I dabbed White Gesso on it. Better! 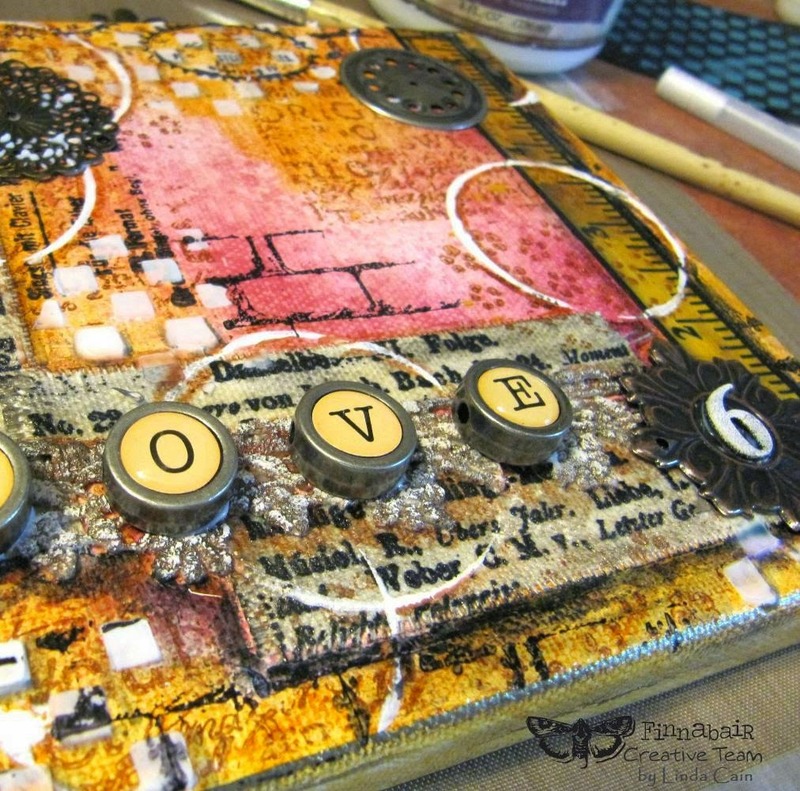 Using the 3D Matte Gel, add Vintage Centers, Washers, a Star Brad, Mini and Large Flowers, Typewriter Word-Love, and various other ephemera. I painted the Mini Number 6 with White Gesso as well as a bit of the Star Brad...going for contrast. Glue the 6 to the Mechanical Center with 3D Gel. 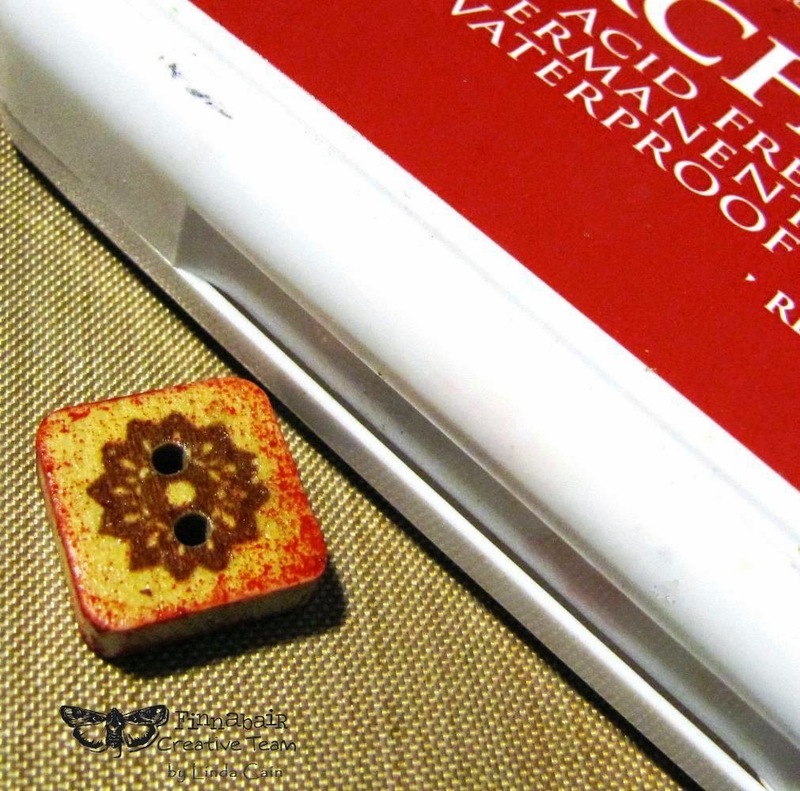 More on contrast here....use Red archival ink to add color to the Sunrise Sunset Wooden Button and tie with a piece of waxed line. The finishing touches are adding Gesso and Claret paint to the Mini Flower with the Engraver Brad, and a Gear to the center of the Washer, a few more Mechanicals, and a Plated Label. Junkyard Findings are sprinkled around to balance the piece. 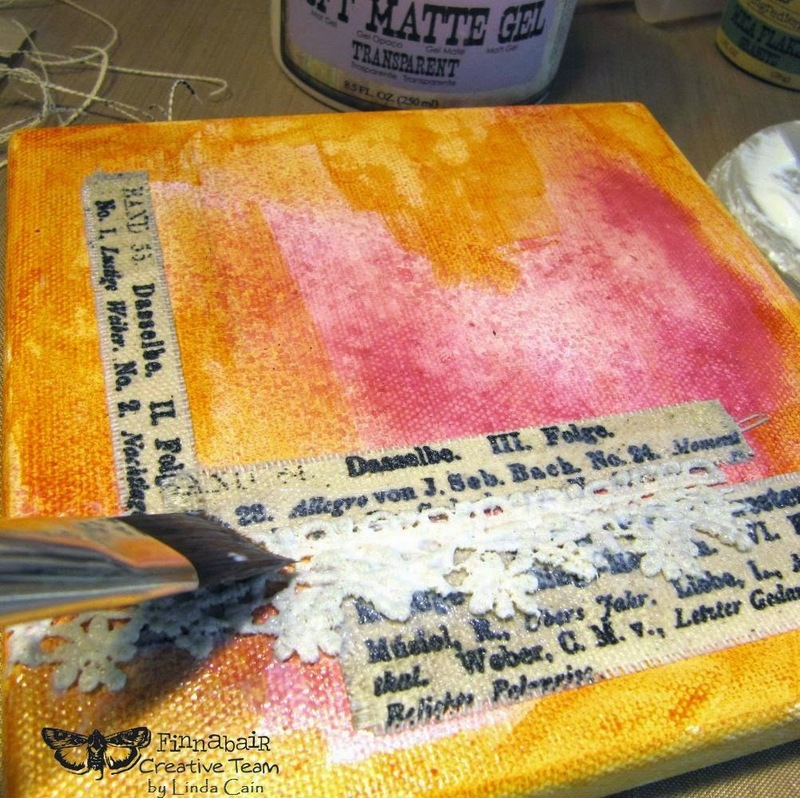 Now you can add the canvas threads with Soft Matte Gel. They wanted to curl for me when I pulled them off, and I thought that was a nice design to end with. I wanted a bit more "red" for contrast, so I added a glaze of the Claret paint all around the canvas. That did it, I think we're done! 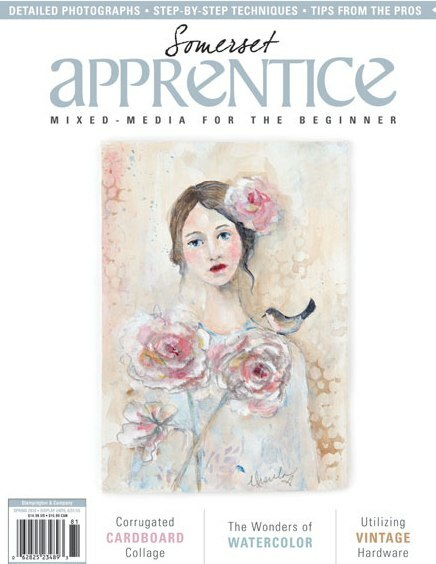 Check out the links below at Mixed Media Place by Finnabair and also know Retro Cafe Art Gallery is now carrying some of these great products in the United States.